The big story in all the papers this week is that butter is good for you, after all. 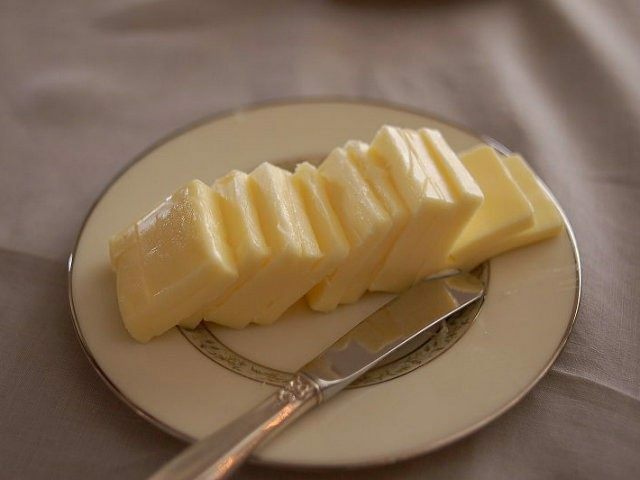 I say “after all” because for most of my life butter has been widely touted by the Health Establishment as the dietary equivalent of Polonium-210. That’s why, when you go to the supermarket, every other product on the shelves screams at you about how healthily “low fat” it is; why, at some high-street coffee chains, you can’t get your latte made with full-fat milk even if you ask because they only do “skimmed” or “semi-skimmed”; and why, perhaps most damningly, we’re currently experiencing an epidemic of obesity and type 2 diabetes. It all goes back to some now discredited ‘research’ conducted in the 1950s by an American dietician called Ancel Keys. This was inspired, in turn, by a Russian researcher Nikolaj Nikolajewitsch Anitschkow who in 1913 fed large quantities of animal fats to rabbits and noted that their cholesterol levels went through the roof. Keys postulated that the key to a healthy diet was to pursue a “Mediterranean” lifestyle – high on olive oil, low on saturated animal fats. Keys’s research was seized on eagerly by the bansturbators of the Nanny State and their allies in the medical and food industries. From 1957 the American Heart Association began targeting animal fats as public enemy number one. In 1977, fat-avoidance became US government policy with the launch of the McGovern dietary guidelines. Britain later followed suit. As a result, the lifestyles of many in the West were transformed quite radically. Food products that hitherto been associated with comfort, homeliness and abundance – eggs, butter, cream, bacon, succulent fatty meat, beef dripping (which I remember my grandparents spreading thickly on toast in the 1970s) – now began to be seen as forbidden pleasures, best consumed in moderation, or better still – for the really virtuous – not at all. Meanwhile, the food industry grew fat on exploiting our neuroses with new healthy products like “I Can’t Believe It’s Not Butter” and Flora (posh margarine, basically), low fat yoghurts and low fat everything else. Another beneficiary was the sugar and corn syrup industry. One of the great advantages of fat is that it is a carrier of flavour (which is why novice vegetarians so sorely miss bacon sandwiches). Once fat was out of the mix, something else had to be put in to make food taste of something. So relatively harmless fat began being replaced by sugar which research increasingly suggests is the real culprit responsible for all that obesity and type 2 diabetes. Not all experts in the field, however, were persuaded by the ‘evidence’ that animal fats were the problem. As early as 1977 Dr George Mann, in the New England Journal of Medicine, described the cholesterol myth as ‘the greatest scam in the history of medicine’. In 1997, a massive trial of 350,000 men at high risk of heart disease found that drastically cutting down their cholesterol and saturated fat consumption did not improve their survival prospects. Worse, according to an earlier study in Finland, men who continued to follow a low-saturated-fat diet were twice as likely to die of heart disease as those who didn’t. In fact no trial has ever demonstrated the benefits of reducing dietary fat.